Hotel Sol i Muntanya is a 3-star hotel located at the heart of the Principality of Andorra, in the village of Encamp. 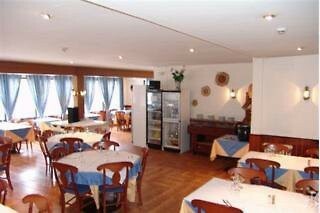 This hotel offers an exceptional location and welcoming, well-equipped accommodation. As it is situated at an altitude of 1300 metres, you can easily reach the Funicamp, the modern cable car that will take you all the way to the GrandValira ski resort. Andorra la Vella, the capital of this little country in the Pyrenees is just 5 km away and there you will find many shops as well as Caldea, the thermal spa centre. Hotel Sol i Muntanya has a total of 48 guest rooms which were all renovated in 2008. You can choose from among single, double, triple and quadruple rooms and even rooms for up to 5 people. All of the rooms have a private bathroom, heating, a TV, telephone and wireless Internet connection. Breakfast is included in the price. Most of the rooms have pretty views of the mountains or river and others have views of the swimming pool or the internal courtyard.